Outstanding Achievement in the Visual Arts: includes traditional 2D and 3D media, graphic design, video and film, and digital arts/media. Outstanding Achievement in the Performing Arts: includes music, dance, theater, improvisation/comedy, tech crew (studio recording and production), and stage crew (lighting, sound and rigging). High school and homeschooled students must currently be in their senior year and must attend a public, private or alternative high school within Beaverton School District boundaries. The Beaverton Arts Foundation is also offering scholarships to college students who are currently enrolled in courses at Portland Community College. 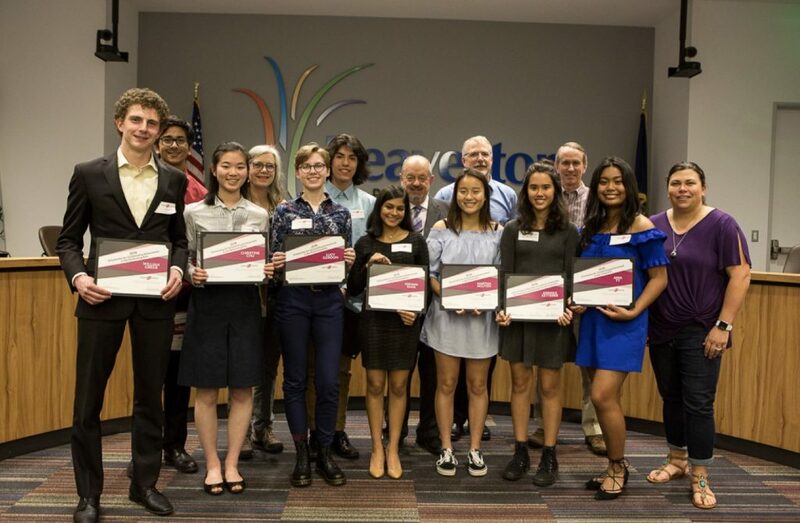 There is no age limit for these scholarships, but applicants must be living within the Beaverton School District or have attended a public, private, or alternative high school within Beaverton School District boundaries. The application will open on Monday, Nov. 12 and close on Sunday, Jan. 20, 2019. To learn more about these opportunities, visit www.beavertonartsfoundation.org/grants-and-scholarshipsOpens a New Window.. For questions about the guidelines or application process, contact 503-906-7824 or rhershey@beavertonartsfoundation.org. The Beaverton Arts Foundation was founded in 1999 to inspire investment and steward resources that help local arts and culture flourish. As a 501(c)(3) nonprofit organization, we raise funds to support the Patricia Reser Center for the Arts and programs that promote creative expression throughout our community. Learn more at www.beavertonartsfoundation.orgOpens a New Window..